OMG! Former Real Housewives of Atlanta star Kenya Moore just got CAUGHT “lying” about her daughter’s birth date. 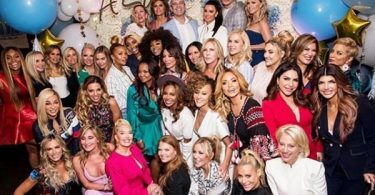 CelebNReality247.com reports that Kenya Moore has been accused of lying about the baby’s age – in an attempt to upstage the premiere of this season’s Atlanta Housewives show on Bravo. Oh, the things people do for attention and fame is utterly sad. SMH. We all know that Kenya Moore was fired from the hit Bravo show last season, and now some on social media are accusing her of trying to sabotage the Real Housewives ratings. Kenya is many things, but is she really going this low to make some headlines and sabotage her former castmates? 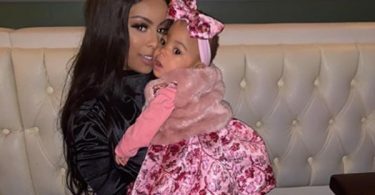 Apparently so, Kenya’s lie was discovered yesterday, when she posted a video of her infant daughter, Brooklyn Doris Daly. The lie was caught when Kenya announced in the video, dated January 27, that Doris turned 3-months-old. Hold up? 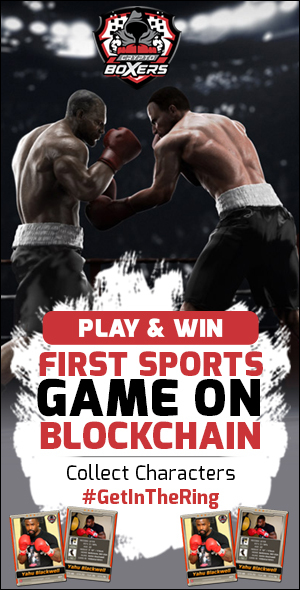 3-months-old? That changes everything, which would mean that Brooklyn’s birthday is October 27, right? 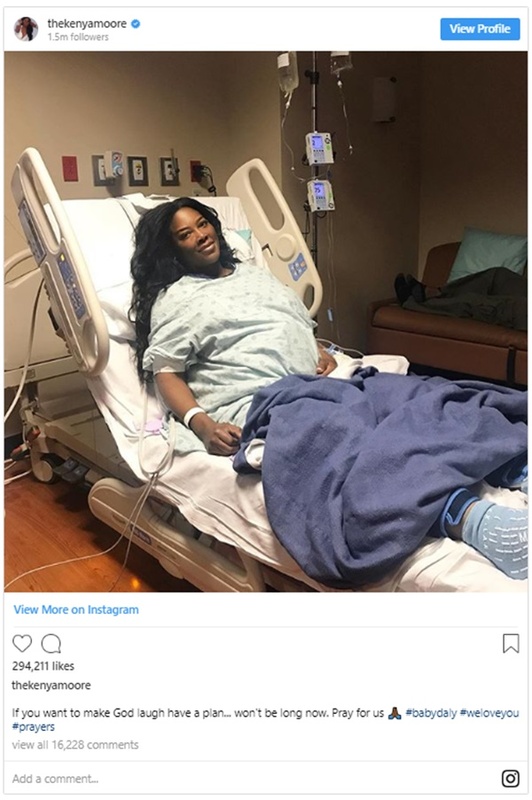 MTO who reported the news first points out that on November 3rd, 2018, which would have been a week after Brooklyn birth, Kenya said that she was in labor. Why did Kenya Moore Daly lie? According to the site, she was trying to upstage the premiere of season 11 of the Real Housewives of Atlanta on Bravo. 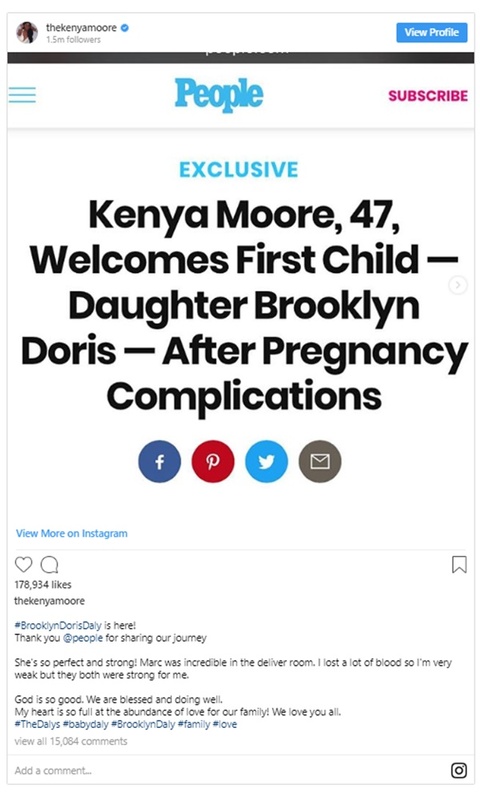 It appears that Kenya thought announcing her baby’s birth on the same day would take away from the new series premiere, but it did NOT. Liars always tell on themselves.